For his new house, Mr. Uniacke purchased simple but elegant mahogany furniture from London furniture maker George Adams, whose label appears on a number of the pieces. Cabinet makers’ labels were quite rare for English furniture. 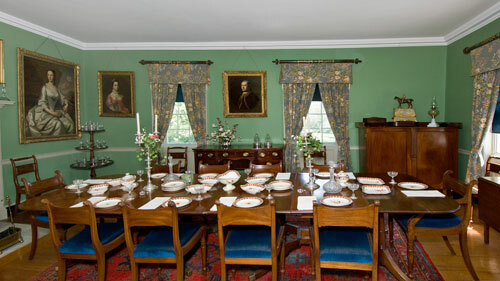 Eight modern wood stoves sit on marble hearths and the dining room holds the expansive mahogany dining table set with crystal, silverware and remarkable Wedgewood china once used by the Duke of Wellington. These original furnishings remain in the house, along with family heirlooms added during the generations that the family lived here. When Richard John Uniacke died, his sons made a complete inventory of their father’s possessions. 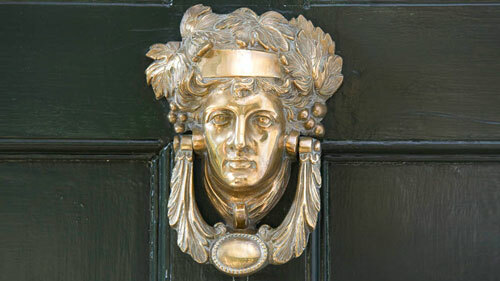 The inventory documents all the estate’s contents in 1830, room by room, building by building. This snapshot in time provides valuable details for museum curators and visitors to the museum who are interested in antiques. Visitors can see family portraits including two rare portraits painted in 1748 by American artist Robert Feke, as well as paintings by Robert Field, and by one of the most famous American colonial portrait painters - John Singleton Copley. Clothing belonging to the Uniackes have also been preserved through the years and as a result, several pieces are on display such as, a silk day dress, leather hand bag, dainty silk shoes and wedding dress possibly worn by Richard John’s first wife, Martha. Richard John’s own waistcoat confirms the stories of Uniacke’s legendary physical stature. The library contains many of Richard John’s possessions: book collection, desk, his large armchair and some unique ‘gadgets’ he purchased in London. 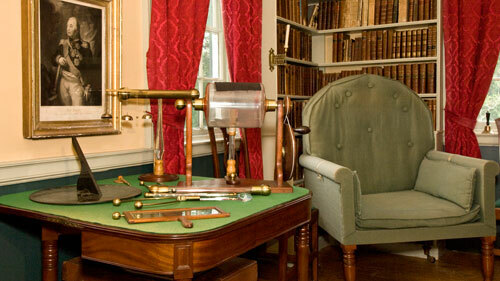 He collected several scientific instruments including a microscope and static electric machine. With these, Uniacke would entertain his guests by making their hair stand on end, generating mild electric shocks and making bells ring.